Last Thursday, authorities disclosed that, included among items found in the Florida home of a man named Walter Stolper, 73, there were three mugs: one bearing an oath to Hitler; another with a Hitler Santa; and — were that not enough —yet another with a smiling Nazi holding a young girl. This was the chachka seized pursuant to his arrest last year for attempted murder. · December 2018 — The doctor in Ohio who was fired by the Cleveland Clinic where she worked for boasting on her social media of her plan to kill Jews by giving them the wrong medications. To be sure, many in America have rightly condemned these people and their anti-Semitism for the evil it is. The questions that linger, however, are whether such instances of hate are merely deviant aberrations occurring within an otherwise healthy society? Or are they in reality only symptoms of an even more viral and potentially lethal form of such evil presently metastasizing in the inner core of America’s culture? Alarmingly, it would seem the latter is the case, as it appears that our society is allowing a strain of anti-Semitism to become normalized by those in leadership who are willfully choosing to either overlook or, in some instances, even embrace the evil it presents. For example, in addition to the coverage given to Mr. Stolper’s Nazi paraphernalia last Thursday, consider two other items that — with no lack of irony — also made the news that same day. Remarkably, at the same time this was occurring, it was also being reported on CNN and elsewhere that, earlier that same day, House Speaker Nancy Pelosi had bestowed upon Ms. Omar the honor of being appointed to the coveted House Foreign Affairs Committee. 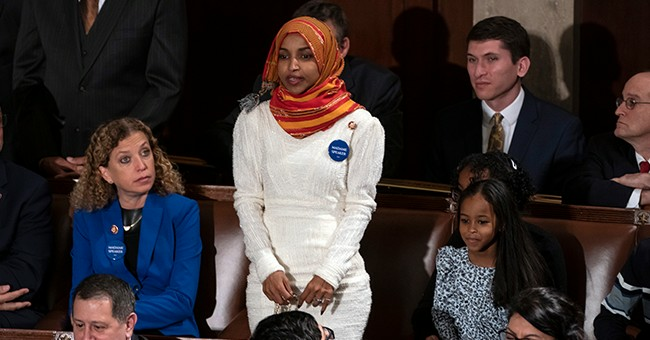 Among other things, and beyond her tweets to Allah, Omar apparently also openly supports a movement known as BDS — boycott, divestment, and sanctions — which is little more than a thinly-veiled strain of anti-Semitism that singles out America's strongest and most reliable ally — the Jewish state of Israel — for economic isolation and condemnation. And now, thanks to Ms. Pelosi, Omar is soon to be on the very Congressional committee charged with helping to determine the fate of that alliance. Perhaps what should be even more alarming, however, is the fact that Ms. Omar — like Mr. Stolper — is not alone in the way she thinks. Twitter allows the BDS movement’s anti-Semitism to be propagated by “@BDS Coalition.” AirBNB has curtailed its operations in “Israel’s illegal settlements in the occupied Palestinian territory.” And, despite is its acknowledged anti-Semitic roots, BDS is also spreading rapidly within the confines of the hallowed halls of America’s universities. That acknowledgment alone should then be enough to cause us all to wonder whether Ms. Pelosi also knew of this reality when she appointed a supporter of BDS to the Foreign Affairs Committee? And if so, did Ms. Pelosi willfully choose to overlook Ms. Omar’s anti-Semitism, or — worse yet — even tacitly embrace it? Moreover, these very same questions should also justifiably be asked of all the people in Minnesota who chose to vote for Ms. Omar and elect her to Congress in the first place. And … also asked of the university authorities and students at UCLA and beyond who are in any way engaging the BDS movement. All of these people are either overlooking or embracing a badly disguised form of anti-Semitism that is wrongfully being given the dignity of debate by virtue of its deceitful packaging — the lie that anti-Zionism is somehow not anti-Semitic. And … as to the rest of us … if we don’t ask these questions, will we not also be guilty of that for which we are accusing them? At the end of the day, both the cause and the cure for anti-Semitism elicits complex and confounding questions that many great minds have failed to satisfactorily answer through the ages. Surfacing in almost all cultures at one time or another down through the centuries, anti-Semitism is not solely a product of any single ideology, religion, political party or, for that matter, any nationality or even part of the world. The only thing we are left knowing for sure is that it is evil, and as such, in any society in which it manifests, it serves as a reasonably accurate barometer of the rise or decline of evil in that culture. And so, even though a cure for anti-Semitism may remain elusive, it clearly puts before each of us, as individuals, a clear choice. Will we remain silent or will we be willing to take a stand and publicly condemn anti-Semitism for the evil that it is in whatever form it may reveal itself? After all, Mr. Stolper wanting to mass murder his Jewish neighbors is evil. So isn’t it also evil to knowingly allow a prejudiced public official to being given a seat on an American foreign policy committee so that they can direct it in ways they hope could ultimately result in the killing of millions of Jews? If not the citizens of Minnesota, perhaps this is a question we should all be asking Ms. Pelosi.